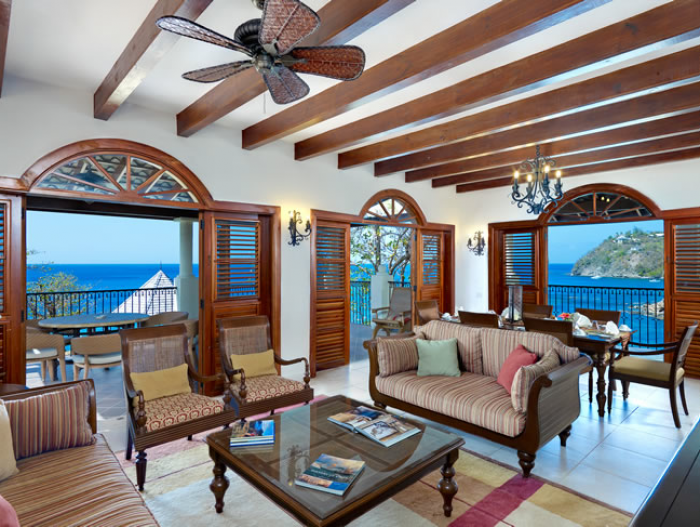 Uncover a Caribbean Paradise alongside Exclusive Complimentary Perks when you book your travel to St. Lucia's Cap Maison Resort and Spa across WhataHotel!. St. Lucia is widely acclaimed to be a truly breathtaking spot and is known around the world for its natural beauty and panoramic Caribbean views. Travel to a place where the weather is almost always perfect and where this remarkable resort is ready to envelope you in all encompassing luxury. 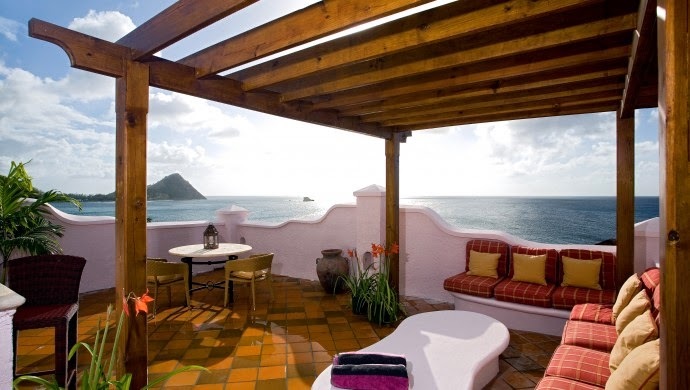 Cap Maison Resort and Spa is found atop an ocean-front bluff that allows guests to enjoy magical views of the setting sun as well as the crystal clear waters of the Caribbean. This family owned resort was created to ensure that every guest could experience the charm, elegance and impressing service of the staff while savoring the beauty of the island. Lucky visitors of Cap Maison Resort and Spa will find secluded white sandy beaches, colorful tropical gardens and intimate yet spacious guestrooms and suites. Each room features exciting amenities and chic island decor while some accommodations also present guests with a private terrace and pool. The onsite facilities are truly incredible and ensure that weary travelers can relax and unwind. Sit back and chill by the cliff-side infinity pool where the flow of food and drinks will make you feel like a VIP, or plan a scuba diving or kite surfing adventure with the help of the knowledgeable resort staff. There is also an exhilarating golf course near by, walking and jogging paths, bird watching excursions and so much more. For the health conscious guest, there is a well-equipped fitness center and for those that require a bit more assistance with relaxation, the incredible Spa Maison is ready to pamper with indulging treatments and a well-trained staff. 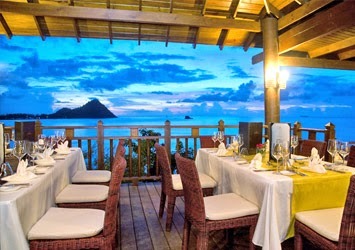 Many guests, as well as non-guests, of Cap Maison Resort and Spa will dine at the iconic Cliff at Cap restaurant. This spectacular restaurant not only offers guests unprecedented views of nearby island and the hypnotic sea, it also serves up scrumptious meals and wines that will be remembered long after departing the island. While The Cliff is an incredible dining option, Cap Maison Resort and Spa also offers delightful food and drinks at the other onsite establishments. Realize immense happiness and gratifying splendor at this marvelous Caribbean resort. Couples, families and small groups will fall in love with every detail at this alluring resort. Plan your travel with WhataHotel! and not only will you savor the sophistication and elegance of Cap Maison Resort and Spa but you will also receive Exclusive Complimentary Perks for an exciting deal. These phenomenal perks include available upgrades at check-in, a daily full breakfast for 2, one delicious lunch for 2 with a stay less than 4 days (or a $100 resort credit per person for those that stay longer than 4 days) and options for an early check-in or a late check-out. Come discover what it means to live the island life in beautiful St. Lucia. This tropical paradise combined with a stay at the lovely Cap Maison Resort and Spa will guarantee limitless luxury, top-notch service and memories to last a lifetime.